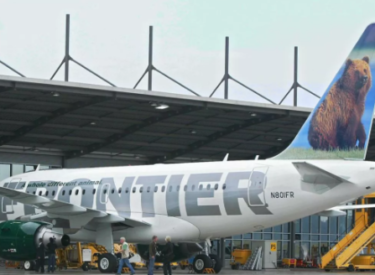 OKLAHOMA CITY (AP) – Frontier Airlines says it has suspended a pilot accused of threatening on Facebook to harm a 12-year-old transgender girl for using the girls bathroom at her Oklahoma school. Frontier spokesman Jonathan Freed said in a statement Monday that the pilot was suspended Aug. 13 pending an investigation into the alleged threats against the student in Achille, a community about 160 miles southeast of Oklahoma City. He says the Denver-based airline doesn’t condone discrimination but he declined to release further details, including the pilot’s name. Achille schools closed for two days last week after adults made threatening comments on Facebook about the student’s use of a girls bathroom. Officials say no arrests have been made, but the child’s mother sought a protective order after a man confronted the mother in person.